袁庆洋, 叶建华, 李晓钢. BLDC电机温度退化多段Wiener过程建模[J]. 北京航空航天大学学报, 2018, 44(7): 1514-1519. YUAN Q Y, YE J H, LI X G. Multistage temperature degradation modeling for BLDC motor based on Wiener process[J]. Journal of Beijing University of Aeronautics and Astronsutics, 2018, 44(7): 1514-1519. Abstract: Brushless DC(BLDC) motor is widely used and its temperature degradation process is multistage. It is necessary to establish a multistage degradation model. When the model has several parameters, the parameter estimation process is sensitive to the initial value and easy to end up with a local optimization. This study was based on accelerated degradation data of motors. The normal weighted average filter (Gauss filter) was used to improve the results of estimation for the model parameters. A multistage Wiener model was established by using the transition function to modify linear model. Then, to maximize likelihood function for parameter estimation, the numerical optimization method, improved particle swarm optimization (PSO), was used for cycle calculation. The rationality of multistage model is verified by comparison of the normality of residual with widely used nonlinear Wiener model, and by analysis of theoretical life distribution of models and actual failure distribution of this batch. The modeling results show that the degradation mechanism changes at high speed during the degradation of the motor. Finally, prediction for motor life under this stress was gained by life distribution in different moments of time calculated by nonlinear model, which is important for the prognostics and health management (PHM) of motors. 张琛. 直流无刷电动机原理及应用[M]. 北京: 机械工业出版社, 2004: 1-2. 王玲玲, 茆诗松, 王静. 电动机平均寿命的零失效验收方案[J]. 应用概率统计, 1995	(4): 439–442. 王剑, 翁雷, 张慧. 基于加速环境的可靠性指标验证试验[J]. 电子产品可靠性与环境试验, 2010, 28	(4): 6–10. TSENG S T, PENG C Y. Stochastic diffusion modeling of degradation data[J]. Journal of Data Science, 2007, 5	: 315–333. 王小林, 蒋平, 邢云燕, 等. 非线性退化情况下的产品剩余寿命预测[M]. 北京: 国防工业出版社, 2015: 39-46. 蒋同敏. 可靠性与寿命试验[M]. 北京: 国防工业出版社, 2012: 346-354. 历海涛, 金光, 周经伦, 等. 动量轮维纳过程退化建模与寿命分析[J]. 航空动力学报, 2011, 26	(3): 623–627. 王书锋, 王友仁, 姜媛媛. Wiener过程性能退化电子产品的剩余寿命预测方法[J]. 电子测量技术, 2014, 37	(5): 17–20. 陈逸成, 何华锋, 邓会选, 等. 基于Kalman滤波和Wiener过程的系统性能退化数据建模方法[J]. 电光与控制, 2015, 22	(7): 107–110. LONNIE C L. 随机过程: 滤波、估计与检测[M]. 邱天爽, 李婷, 毕英伟, 等译. 北京: 电子工业出版社, 2015: 130-135. LONNIE C L. Random processes: Filtering estimation and detection[M]. QIU T S, LI T, BI Y W, et al, translated. Beijing: Publishing House of Electronics Industry, 2005: 130-135(in Chinese). 赵春燕. 平滑转换自回归模型的理论与应用研究[M]. 北京: 清华大学出版社, 2015: 28-29. 郑伟博, 张纪会. 基于Nelder-Mead单纯形法的改进量子行为粒子群算法[J]. 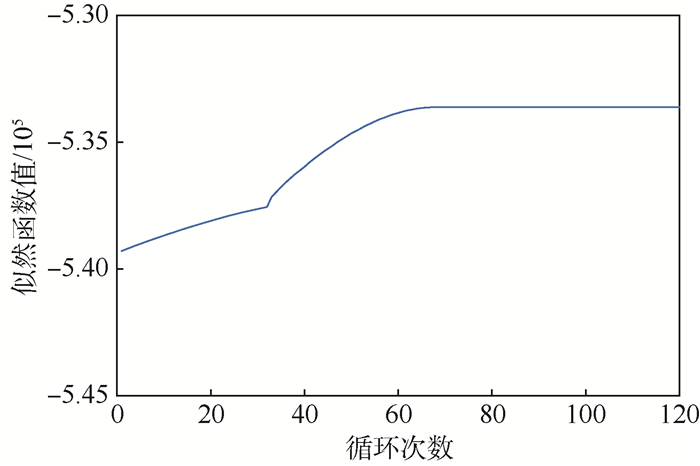 复杂系统与复杂性科学, 2016, 13	(6): 97–104. JORGE N, STEPHEN J W. Numerical optimization[M]. 2nd ed	Berlin: Springer, 1999: 363-378. 杨振海, 程维虎, 张军舰. 拟合优度检验[M]. 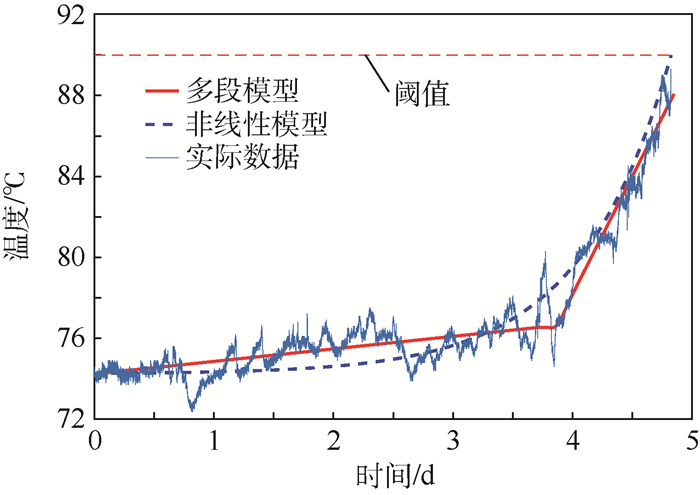 北京: 科学出版社, 2011: 15-19.